It has been a torrid 12 months for the ANC and President Jacob Zuma. From the booing of the president at Nelson Mandela’s memorial service last December to its toughest election campaign to date and a constant mauling from the newly configured opposition in Parliament, the ANC will wind down the year at its weakest point since taking power. According to Zuma, the ANC national executive committee (NEC) conceded last weekend that it was “in trouble”. As the party takes stock and prepares for its 103rd anniversary in January, will it consider the ways of extinguishing the flames devouring the organisation? Or will it simply plough on in the hope that its history, control of the levers of power and majority in Parliament will carry it through the multiple crises? 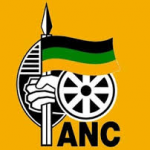 One of the major political events next year will be the ANC national general council (NGC) from 26 to 29 June. NGCs are mid-term gatherings for the ANC, where it assesses the progress in implementing the resolutions taken at their last national conference. These are the largest assemblies in between national conferences and are attended by representatives from branches around the country. 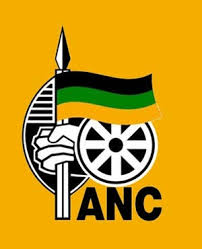 Next year’s NGC, on top of “reviewing and fine-tuning ANC policies” as the leadership claims, will also be an important preparatory meeting before the 2016 local government elections. When the ANC holds its 103rd anniversary celebrations in Cape Town on 10 January, it is likely to be a festive gathering, with bussed in crowds singing in the stands of a stadium splashed with ANC colours and regalia. The NGC, however, will be about serious discussions regarding the state of the organisation and its future direction. The last two NGCs, in 2005 and 2010, saw rebellions from the floor of the conferences. The 2005 revolt came from President Jacob Zuma’s supporters, who were demanding his reinstatement into ANC structures after he was charged with corruption, and the 2010 disturbance was orchestrated by the then-ANC Youth League over the nationalisation of mines. As the ANC prepares to celebrate its anniversary next month, it should be more mindful of how it will manage the gathering later in the year, rather than the big party in Cape Town in January. Last week, ANC secretary general Gwede Mantashe said party structures across the country were “intact”, but that is by no means an accurate assessment of the organisation’s health or sentiment on the ground. Despite spending R429 million on the 2014 election campaign, according to the Mail & Guardian, the ANC dropped support in all provinces except President Zuma’s native KwaZulu-Natal. The ANC’s leadership will have to do an honest assessment of why that is before it faces its branch delegates at the NGC, or it will probably be told why. But the ANC has a habit of existing in a bubble of denial when it comes to hard truths about the state and perceptions about the organisation. When Zuma was booed at Nelson Mandela’s memorial service last December, in the presence of world leaders and with people around the globe watching, the ANC refused to accept that this was a result of disenchantment amongst party members. This was despite the fact that people in the sections of the crowd booing the president were dressed in and carrying ANC regalia. The party leadership claimed that the crowd was made up of people across party lines, and the jeering of the president was not reflective of sentiment amongst their members. Then came the May elections, when the ANC dropped support nationally, and most significantly in Gauteng. It then had to confront the prospect that it was losing support amongst its traditional constituencies and its own supporters. The ANC can no longer pretend that issues that dominate media coverage are not penetrating and impacting on its support base. For a long time, the ANC, and Zuma in particular, believed that ordinary people did not care about issues such as the state spending at Nkandla. They believed that the ANC’s history and record of delivery was strong enough to counter scandal and bad press. But from comments Zuma made last week at the ANC Youth League consultative conference, he is now aware of the “negativity” on radio talk shows and on social media, and called on ANC members to counter this. The ANC is also clearly worried about how ordinary people perceive the events in Parliament over the past few months, and has therefore sought to paint the hard stance of the opposition as “anarchy” and the work of “rebels”. They believe that the 62% support they received in the election will remain a representation of their support, even though the Democratic Alliance and Economic Freedom Fighters have received endorsement from outside their ordinary support bases for their pressure on the president to account and pay back the money for Nkandla. The ANC can hide its head in the sand and hope the situation will correct itself, or it can do a proper status reading of the situation in which it finds itself. With the meltdown and dysfunctional state of Cosatu and the ANC Youth League, the ANC has lost two major mobilisation structures in its arsenal. It is difficult to say which of the two is in a worse state and there is no hope of stitching together either anytime soon. Parliament has become a major battleground in South African politics, and the ANC does not seem to have the people or the strategy to contend with the onslaught of the opposition. The ANC’s only safety net is its majority in Parliament, but clearly does not know how to take on the combined offensive of the opposition parties. In the past six months, the ANC’s presiding officers in Parliament, including Speaker Baleka Mbete, have come under tremendous pressure and been battered in skirmishes with the opposition parties. The ANC cannot rely on them for protection the same way they have in the past. Heavy-handed tactics, such as calling in the riot police into the House, have swung public opinion further against the ANC and won sympathy and support for the opposition. There is an effective ring of fire around the ANC, which it can no longer wish away. There is disenchantment in the ANC that could show itself unexpectedly as it did at the Mandela memorial, or which could boil over as it did at previous NGCs. The ANC is in danger of losing its connection to the workers and the youth because the desire to suppress dissent and ensure complete compliance ended up crushing these organisations. And Parliament has become a fishbowl exposing the ANC acting only to protect the president from scrutiny and accountability. The ANC clearly does not know how to respond to threats from the Economic Freedom Fighters that they will disrupt the opening of Parliament if Zuma has not yet answered whether he will reimburse the state for benefits he received at Nkandla. They will probably think that the answer lies in throwing a ring of steel around Parliament – even more so than they have already – but this will only serve to antagonise the opposition and the public even more. And what happens to the work of Parliament in 2015? Antagonism and constant showdowns would obviously hamper functionality and also impede the work of government. It will be impossible for the ANC to try to ram through everything using its majority, as this will only harden the attitude of opposition parties to employ ever-tougher tactics. The only possible solution would be for the ANC to assess what is the underlying factor fuelling this explosive situation. The answer is not difficult. The opposition’s greatest asset at the moment is the moral high ground due to the president’s reluctance to be held to account. Remove that and everyone is back on equal footing. But does the ANC have the ability to have a straight talk with its leader and get him to account in order to extinguish some of the most urgent flames engulfing the organisation? Probably not. In the same way, the ANC needs to release its chokehold on Cosatu and the ANC Youth League in order for them to have any chance of survival. But it would appear that the need for these structures to be submissive to the will of the ANC leadership surpasses all else, including their health and very survival. The ANC has learnt hard lessons in the past when it has been disconnected from its membership and ignored the concerns of its members. Some of the previous crises occurred when the ANC was still a liberation movement, but now it happens to be South Africa’s government too. The price of ignoring the warning signs could be high. It has come though a year of multiple crises and could be entering a year of even bigger ones. While the party could be punished almost immediately in the 2016 municipal elections if it doesn’t take some decisive and popular steps, there is the added element of difficulty in everything it does in the near future. Unlike in the past when it debated its internal issues in isolation, it now also needs to run South Africa through tough economic times while essential infrastructure and government services are close to crumbling. So it appears that the ANC and its government are caught in a vortex and their current efforts and strategy to sit tight and wait for the storm to pass is clearly not enough. And yet, all that difficulty could also be just the brake release the party needs right now. Perhaps it will ensure that majority understands the time to read the mood and take corrective action is now. The sooner, the better.